In 2017 the position of the Ukrainian LGBT community and the attitude of Ukrainian society and the state towards LGBT issues do not demonstrate any fundamental changes in comparison to the previous year. The central government continues declaring equal rights for LGBT people, while being in no hurry to fulfil its obligations under the Action Plan on Human Rights. The police force, in general, provides rather reliable protection measures against LGBT homophobic aggression under a prior agreement, but reluctantly and inefficiently investigates hate crimes against LGBT people. Ukrainian society is gradually becoming more aware of the real problems and demands of their LGBT compatriots, and more tolerant to manifestations of homosexuality and transgender identity. Right-wing radical nationalist forces and the churches remain the main adversaries of LGBT people, but while the former do not weaken (on the contrary, they increase their homophobic activity and rhetoric) the latter are trying to avoid evident “hate speech” and direct calls for discrimination against LGBTs. Ukrainian LGBT community shows a rise in its activity and visibility in society. With varying success, but firmly, it establishes contacts and cooperation with the central and local authorities, police, government agencies and non-governmental organizations across the country. The main obstacles to its activities are the limited material and financial capacities of LGBT organizations and individual activists, as well as the significant increase in homophobic / transphobic aggression by right-wing radical groups. Nash Mir Center in 2017 documented 226 cases of acts motivated by homophobia / transphobia, discrimination and other violations of LGBT people’s rights in Ukraine. Most homophobic / transphobic aggression, discrimination and other violations is suffered by representatives of LGBT communities of big cities, where they are most visible: Kyiv, Kharkiv, Odesa, Dniprob and Zaporizhzhya. Because after the annexation of the Crimea by Russia homophobic Russian law actually took effect there, any public activity of the LGBT community on the peninsula is now impossible. 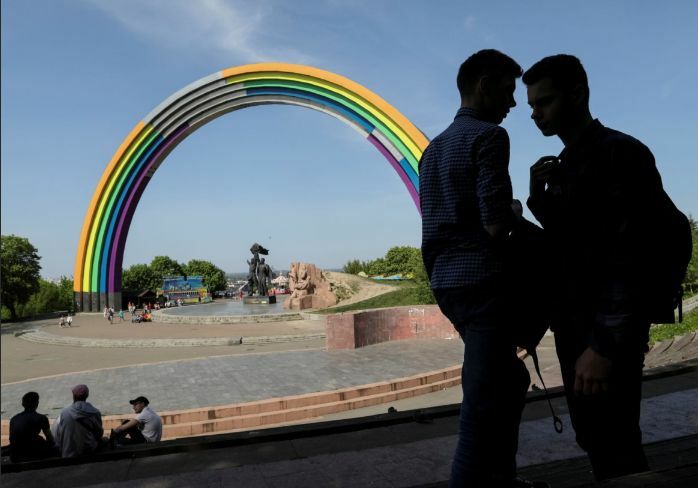 Meanwhile, no laws at all are in place and act in the occupied part of Donbas, thus not only social activity, but also the very lives of LGBT people are at risk in this area. See the whole Report.